At the Livbag SAS plant in Pont-de-Buis-lés-Quimerch, France, seven days a week, 620 employees support a high-volume, automation-filled facility whose 50 work cells cycle product every 5 seconds. Production is tied to JIT, with quality ISO-certified product, of which 80 percent ships to Europe. Final customers include all the big car names—Mercedes, Toyota and Ford. Here, continuous improvement is a strong contributor, supported by benchmark activities to identify additional solutions. 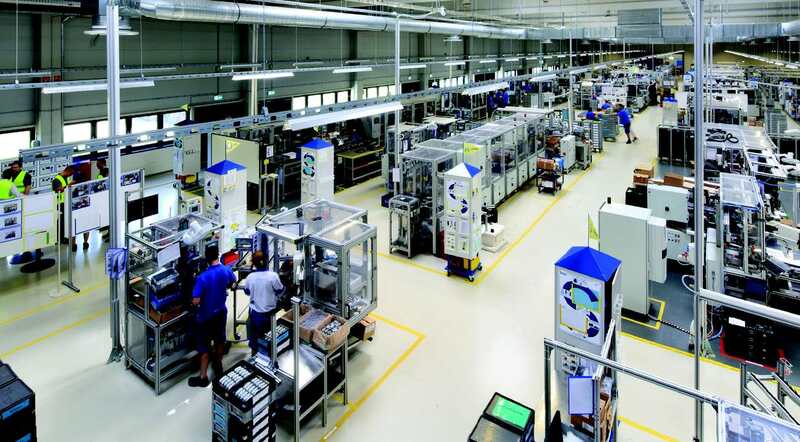 Autoliv plants are highly automated and run based on lean principles. On a 2014 trip to Autoliv’s Utah plants, managers from Livbag saw Leading2Lean in action. They wanted to improve employee engagement and saw quality classification and production dispatches that they felt would improve maintenance costs, data accuracy and wait time. At the plant in France, five plant representatives were chosen to form a team—production, quality, maintenance, continuous improvement and IT. At each step shop floor people were involved, a big change from previous IT implementations. With reduced wait time, operators were receiving better information and more accurate data. “We felt that the Dispatch module, with all the machine data, was the greatest contributor,” Le Boulc’h said. “iPhone applications let us react faster than we could have one year ago.” The plant realized additional savings further into implementation. Next steps for the operation include implementing new ideas like automatic quality checks for quality control, with IT automatically opening quality sampling events, plus validation of sampling and a direct connection between robots and the line. With this approach, the robot is triggered twice per shift by software to take a quality sample: “Go to Line A, get these parts and bring them to the quality lab.” The last opportunity impacts products at the end of the line. The system will, when it finds a nonconformity, automatically send a photo of the defect to the quality department for preventive maintenance in advance of a defect occurring. Learn how the company works, especially its current IT tools and how they are used. Named a “Pioneering Woman in Manufacturing” by Fortune magazine, Patricia E. Moody (tricia@patriciaemoody.com) is a manufacturing management consultant and author.